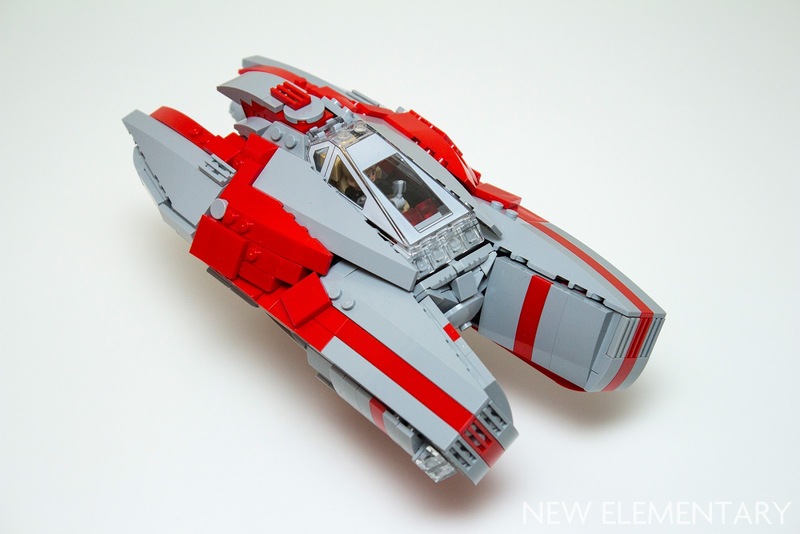 We welcome Luc Byard back today with another exciting creation using LEGO® part 27255, giving us insight into how he came up with this sleek starglider. It began with a Nexogon on its edge. 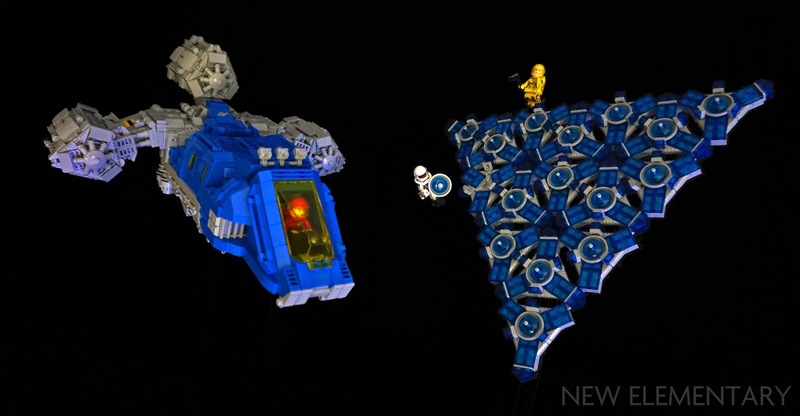 The idea was to use it as the central piece and build a cockpit forwards from it and a tri-cluster of engines and wings back from it using the Nexogon to influence the overall shape. For this build I combined the 'birdhouse' plate (Design ID 27928) with another part that is being reviewed on New Elementary currently, the Nexogon (Design ID 27255). 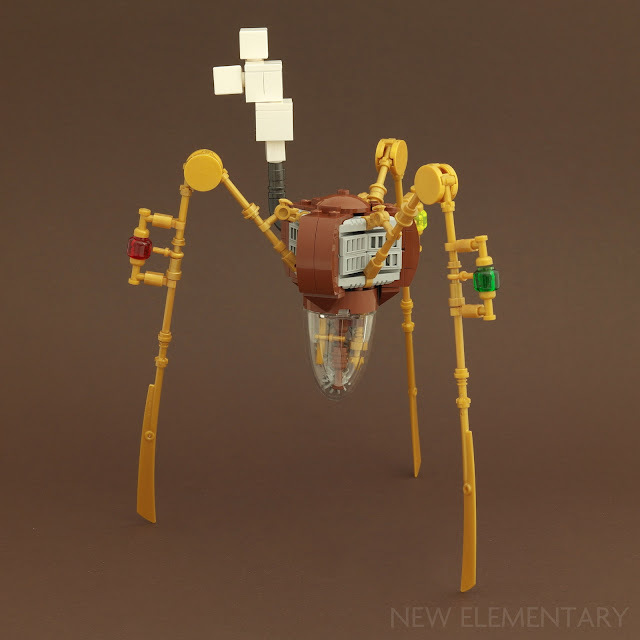 The result is a three-legged Steampunk spider creature. 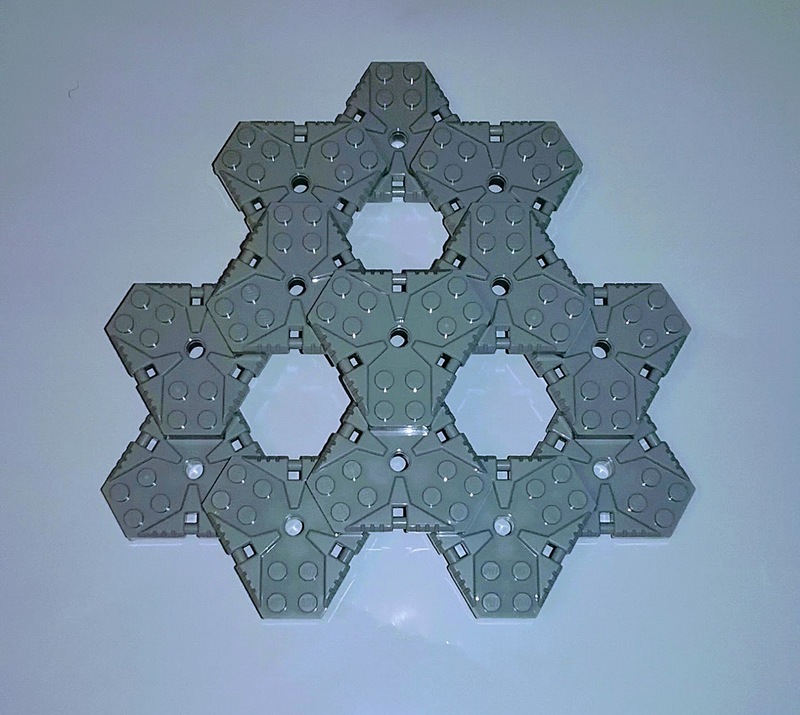 For his next investigation of the LEGO® Plate, Modified 6 x 6 Hexagonal with Pin Hole (Design ID 27255), Brian D'Agostine (Dag) went back to basics to discover what happens when Nexogons are stacked. For my third exploration I was curious about stacking pieces. Gary Davis had suggested the idea and shown a few neat stacking ideas but didn't take them further. My thought was to stack the 2x2 portions on top of each other to create a tighter pattern than some of Tim's initial offerings. The idea first came from trying to get a sense of the geometry. 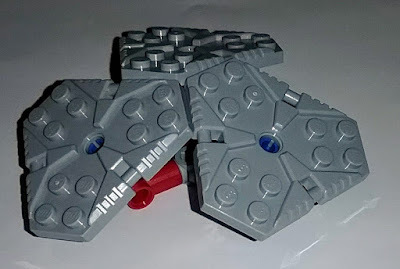 In my first post I had used a 2x4 Technic plate to judge where the central hole was in relation to the sets of 2x2 studs. Doing this required a 2x2 plate to lift the Technic piece above the ridges and relief on the surface. The Technic plate later came off but I snapped another Nexogon on top of that 2x2. And then another. And another. Soon I had a tight little pyramid of sorts, all stacked up. Brian D'Agostine (Dag) returns today with his second exploration of the LEGO® Plate, Modified 6 x 6 Hexagonal with Pin Hole (Design ID 27255). With the 2D geometry explored, I turned my attention to some 3D exploration. 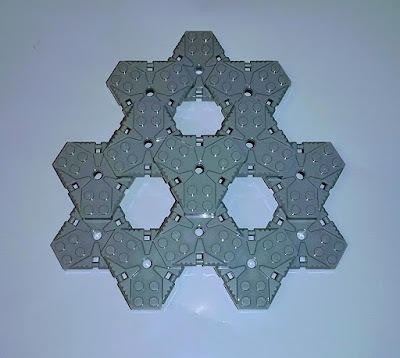 Tim initially showed some variants of icosahedra and after parts were issued to builders, a tighter truncated icosahedron had quickly been built by Gary Davis. There were two main explorations I wanted to do. The first was to see how tightly I could put the Nexogons together in 3D space. 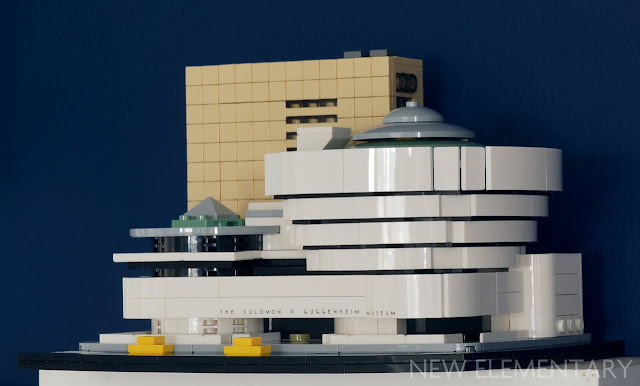 This would require a bit of Technic wizardry, something I lack. Nonetheless I pulled out my case of Technic bits and started away. I knew I wanted to match corners together in rotational symmetry and that they should all be connected. Starting with the Technic axle connector hub with 3 axles (Design ID 57585) I experimented to find the proper angle connector. The 112.5° connector #5 (Design ID 32015) got about as close as I could wish for. This week we return to the geometric properties of the new LEGO® NEXO KNIGHTS™ piece, Rotor w/ 4.85 hole (Design ID 27255). Brian D'Agostine of Portland, Oregon is no stranger to writing about LEGO pieces and techniques - his blog, Dag's Bricks, has been running longer than New Elementary for a start! When I asked to be accepted into this parts festival my first inclination was to explore the geometry of the shape and figure out the dimensions in detail. I was also, by extension, interested in the geometric patterns that could be created in 2D and 3D space. With a convention coming and my workload increasing weekly I was relegated to watching others post their discoveries and hoping I could finally get around to my write-up. Others had posted some exploration of the piece but there were still a few more aspects that I had wanted to explore. 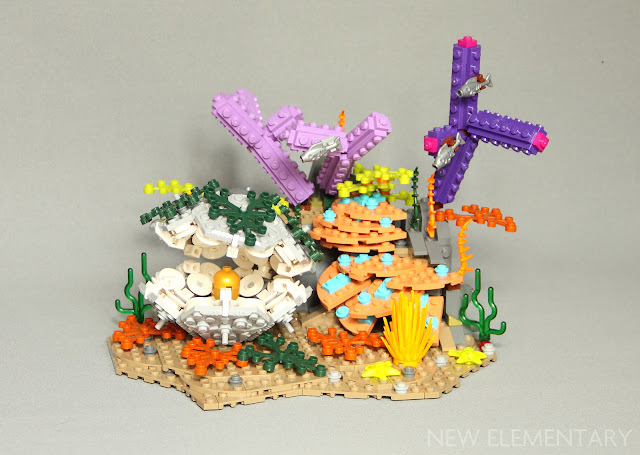 Recently we've been lucky enough to have Jonas Kramm (who has literally just won another Iron Builder title!) 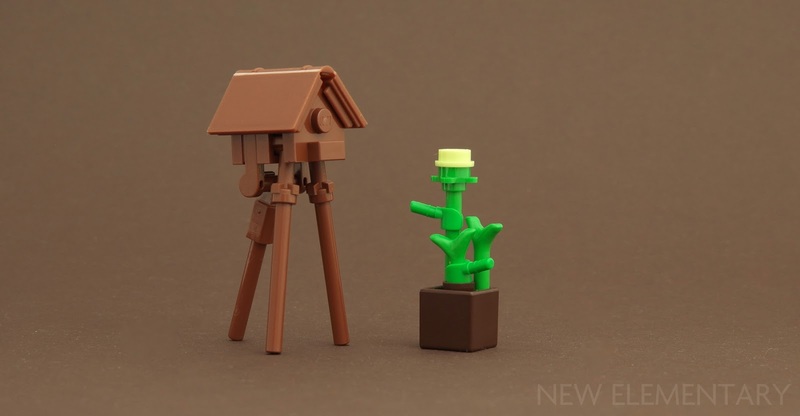 investigating the pieces that come in the latest wave of LEGO® Minecraft sets for us and one in particular has intrigued him. 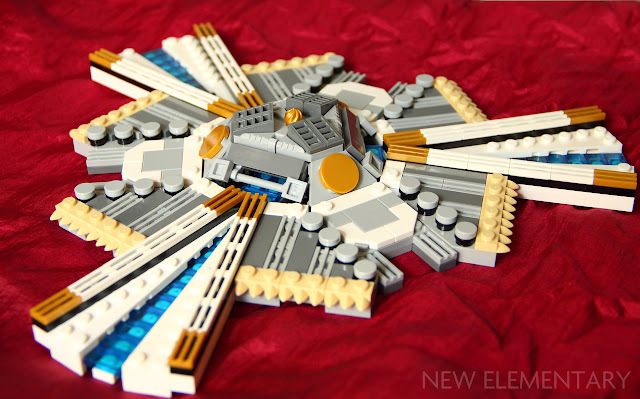 Today he shows some more of the clever builds he's created using the new piece called “Wedge, Plate 2 x 2 Pentagonal with Center Stud and 1 x 1/2 Raised Tab on Top” by BrickLink and “Plate 2X2, W/ Design” by TLG (Element ID 6163991|Design ID 27928). Welcome back to more ideas using the new LEGO Minecraft mould. Having shown you two fence designs, amongst others, here are a few more uses of that element, starting with the first idea I built and the one that I like the most of all. 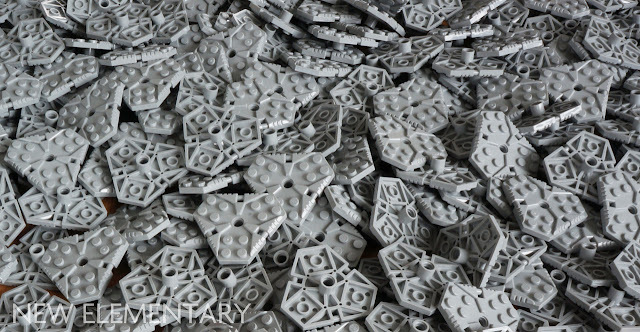 In the comments on New Elementary someone already called this new modified wedge plate a “birdhouse plate” and that actually fits pretty well, as the part is just perfect for building birdhouses. 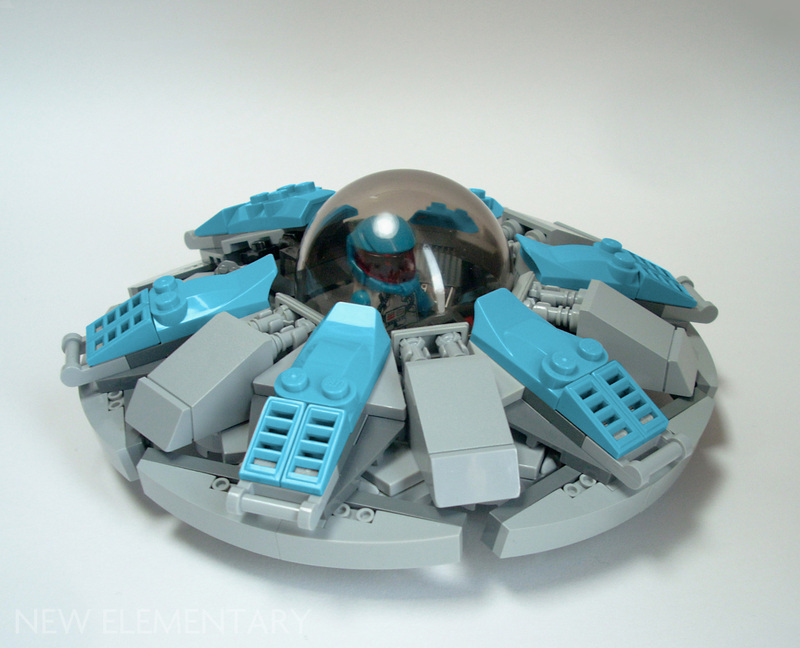 Rounding off our run of the first creations by Gabriel Thomson (qi_tah on Flickr) using LEGO® Rotor, W/ 4.85 Hole (Design ID 27255) we have something altogether different once again! So, I’m not that good at Space creations, but Nexogons seem made for them, so I thought I’d use the challenge to give the genre a go. I started off making a bulkhead doorway of some kind, but somewhere along the line it kind of morphed into a very large medal. A space medal… the Exalted Order of the Nexogon perhaps? 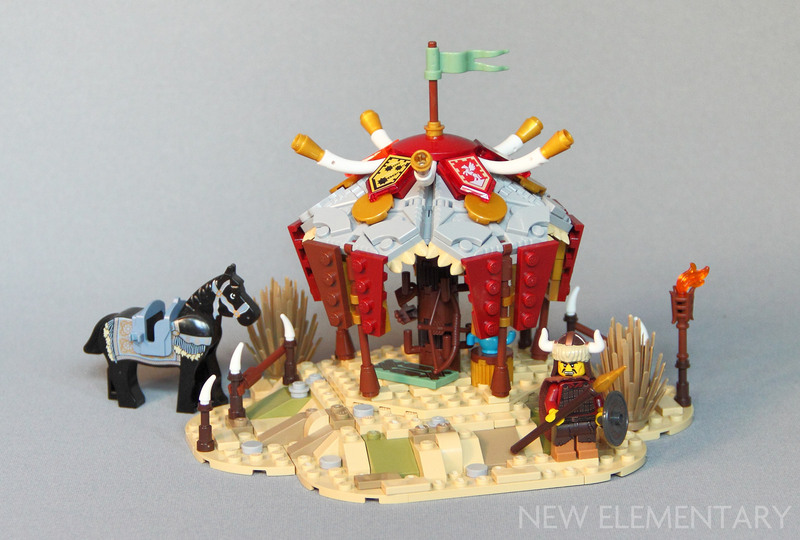 Following his hunter's tent, today Gabriel Thomson (qi_tah on Flickr) has a vastly different build using the same technique with the Plate, Modified 6 x 6 Hexagonal with Pin Hole (Design ID 27255) from LEGO® NEXO KNIGHTS™.